Sanford, NC, was once called the Brick City because it produced more bricks than another other town in America. 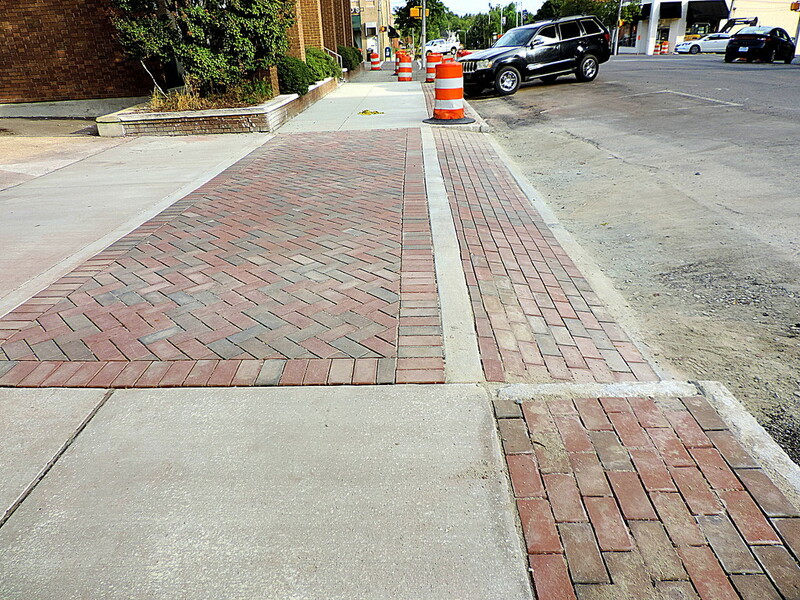 So, when they started repairing and upgrading sidewalks around town in the spring, they added in some brick embellishments. It looks great, but I hope they finish up soon because they have sidewalks torn up and roads blocked all over town still. Looks pleasant. The town I live in keeps "beautifying" the sidewalks.